Synopsis: After a busted marriage kicks his drinking problem into overdrive and the LAPD unceremoniously dumps him, the thirty-five-year-old Stone's future looks bleak. So he's shocked when a small Massachusetts town called Paradise recruits him as police chief. He can't help wondering if this job is a genuine chance to start over, the kind of offer he can't refuse. Once on board, Jesse doesn't have to look for trouble in Paradise: it comes to him. 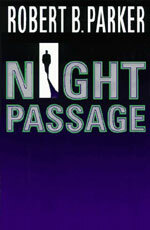 For what is on the surface a quiet New England community quickly proves to be a crucible of political and moral corruption - replete with triple homicide, tight Boston mob ties, flamboyantly errant spouses, maddened militiamen, and a psychopath-about-town who has fixed his violent sights on the new lawman. 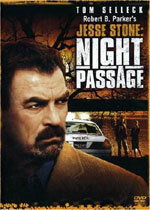 See Telemystery: Jesse Stone for a complete list of made-for-television movies based on this series character.